I get asked by a lot of customers “How can we reduce the amount of time spent on manually troubleshooting agents, correctly identify what is wrong with the systems, quickly and automatically remediate the issues on the systems”? Even though we do have a built-in check for the client that runs daily, as described here, that may not be enough for most Administrators. 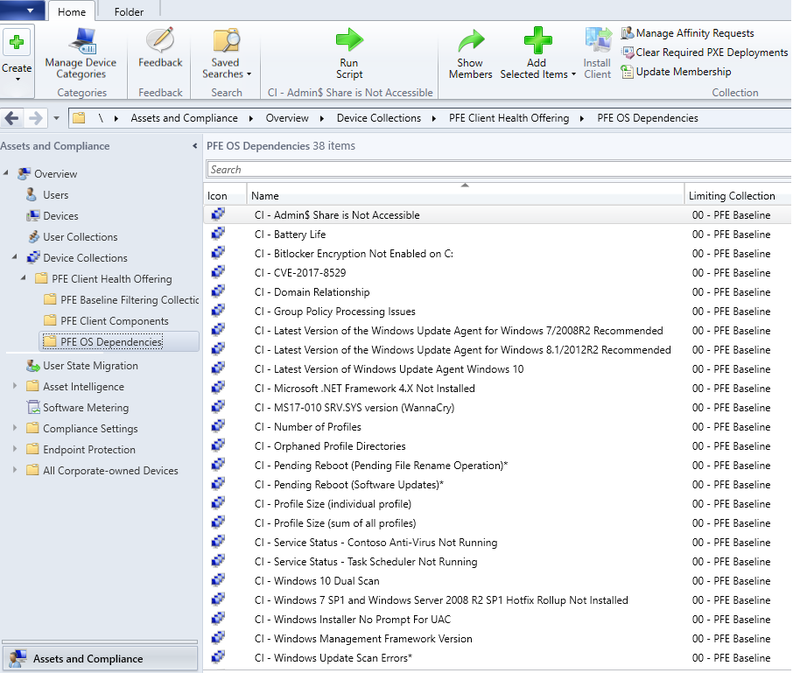 The System Center Configuration Manager Client Health (CMCH) solution has been created within Microsoft by PFE’s to address the need that has been identified by engineers for more expansive checksremediation. 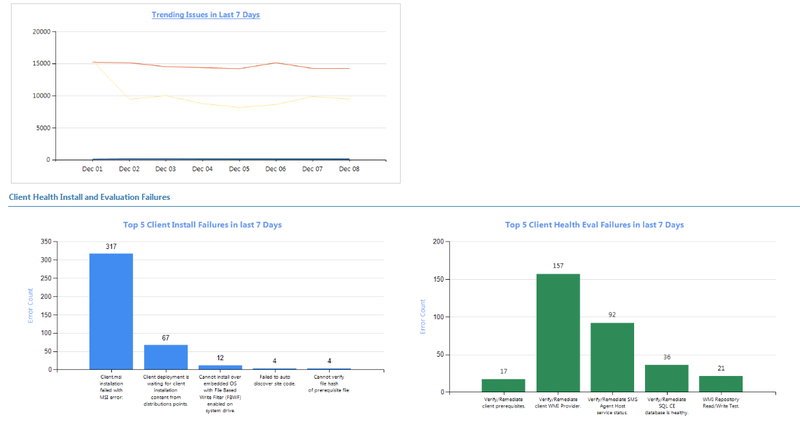 The CMCH solution provides years of client health knowledge focused on proactive monitoring and automated remediation to ensure that clients are fully functional while reducing risks and increasing reliability. The framework is fully customizable and built with remediation in mind. 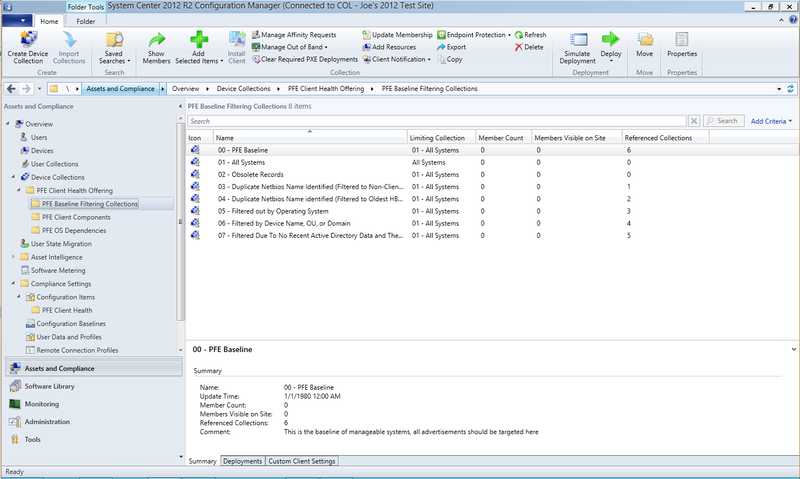 The CMCH toolset is supported on Configuration Manager Current Branch and Configuration Manager 2012/2012 R2 with the latest Service Pack. 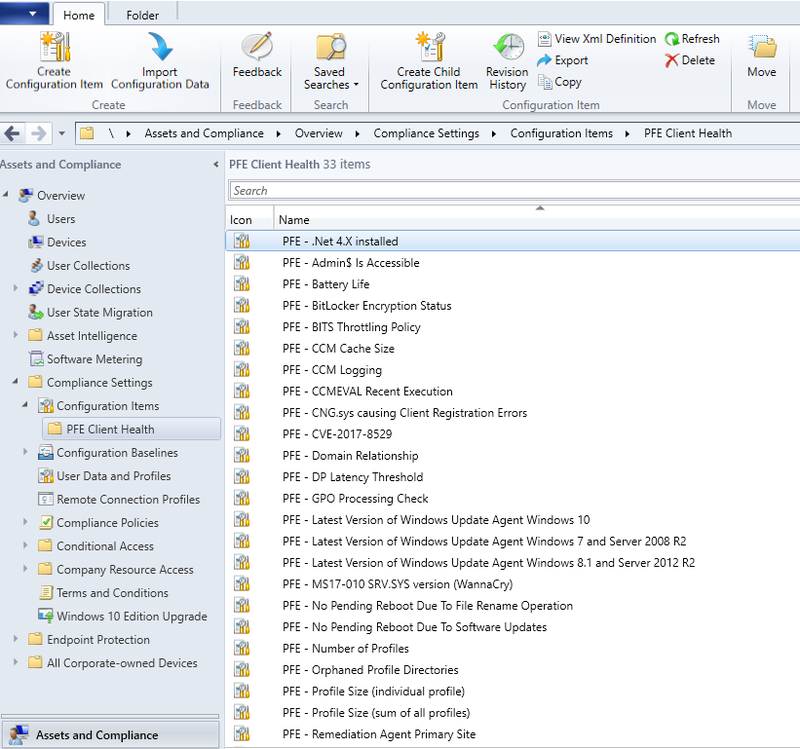 a Powerful remediation agent and approximately 26 Client Health focused Configuration Items. 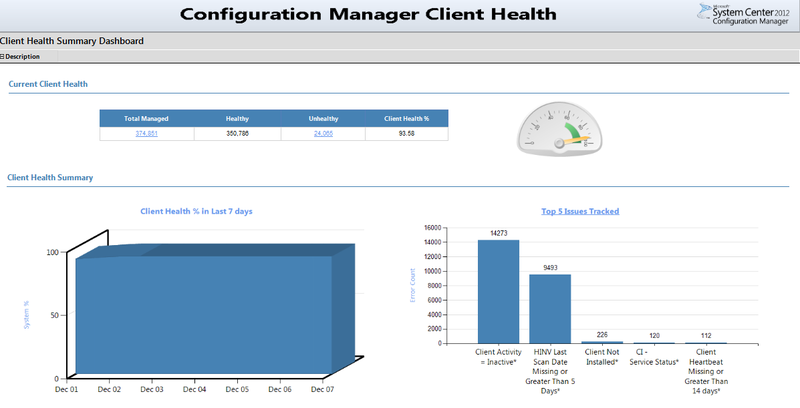 In all, there are 30+ Client Component issues and 37+ Operating System dependency issues that are addressed. Detailed trending analysis identifies systems that are recently confirmed to be on the network but remain unhealthy. The service has a proven track record for scalability and is leveraged in hierarchies with over 200,000 clients. Detailed trending analysis identifies systems that are recently confirmed to be on the network but remain unhealthy. 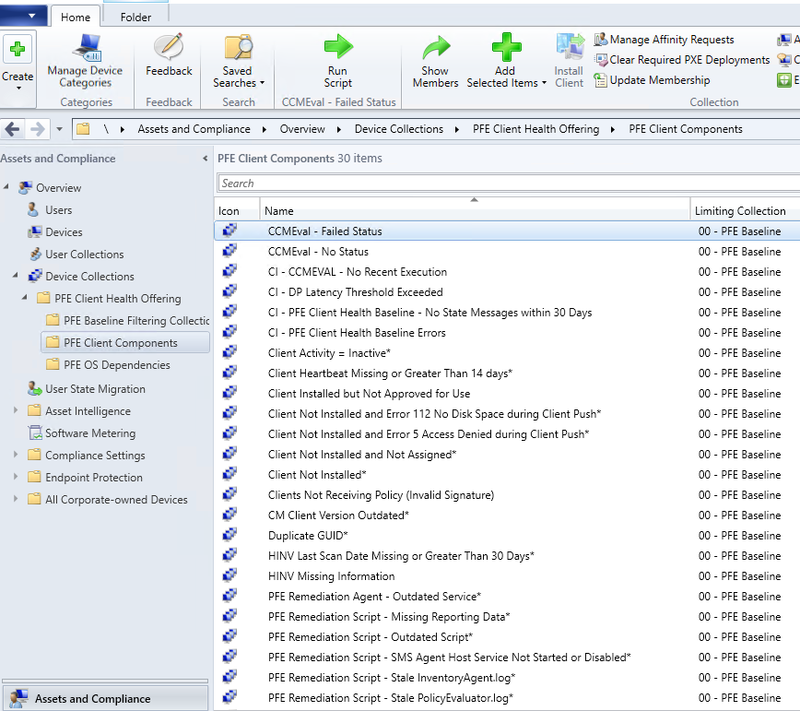 The Introduction of this solution has allowed SCCM Administrators to more effectively identify, remediate and report on client health issues. 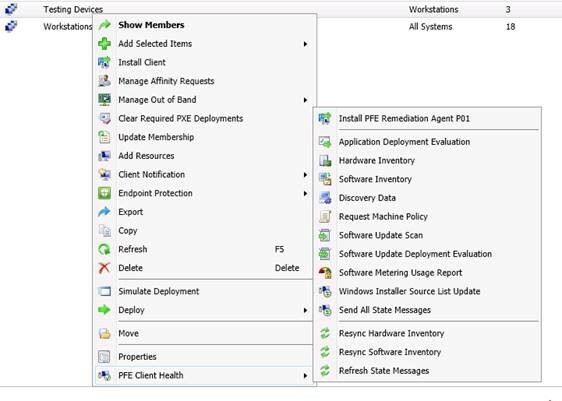 How can I get this into my SCCM environment? If you are a Microsoft Premier customer please reach out to your TAMs for delivery questions! !